Rosemary is a woody-stemmed, evergreen shrub that is native to the Mediterranean. 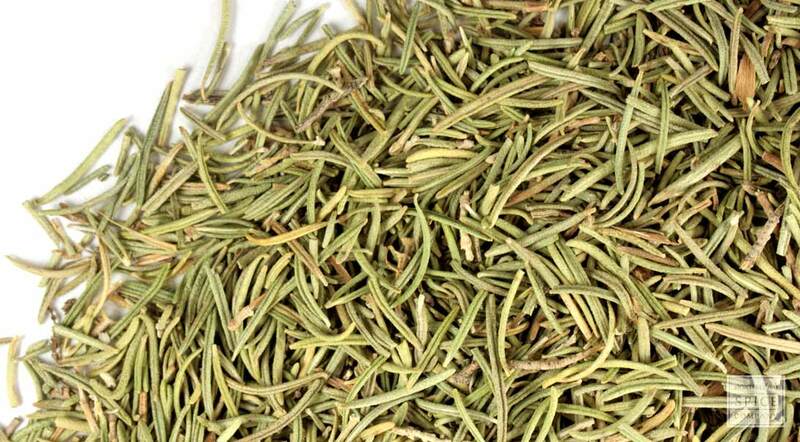 Long recognized as a symbol of fidelity and remembrance, the pine-like aroma and flavor of rosemary is equally unforgettable. Compared to many other herbs, dried rosemary retains the full-bodied flavor of fresh rosemary, although you can expect it to be slightly less intense. storage tips Store in a sealed container in a cool place free of bright light and humidity. appearance & aroma Whole needle-like leaves with a woodsy, pine scent. cosmetic Use in cosmetic formulations for skin, scalp and hair. culinary Use alone or in combination with other herbs to season soups, stews, meats, vegetables and breads. aromatic Infuse in alcohol or witch hazel for use in making perfumes and colognes. industrial The liquid extract of this herb is used as an antioxidant and preservative. 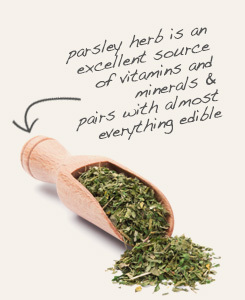 Use with parsley flakes to flavor salad dressings, culinary oils, soups, stews and braised foods. Combine with crushed fennel seed in Italian-style meatballs and tomato sauce. Earthy with a mild pine-like flavor. 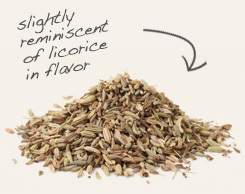 Blends well with other fragrant herbs in the mint family, such as thyme and oregano. Rosemary is a hardy perennial in the mint family that occurs naturally throughout the Mediterranean. Elsewhere, it is grown for food and as an ornamental specimen, and in cooler climates it is cultivated as an annual. The herb has long had an association with memory and scholarly pursuits. In ancient Greece, students wore garland wreaths of rosemary around their heads to help them retain information and improve recall during exams. Ironically, rosemary contains a potent antioxidant compound called rosmarinic acid that is being studied for its efficacy in countering memory loss in people with neurological disorders.